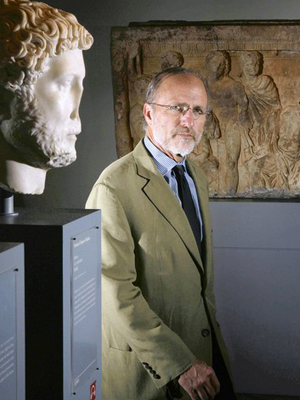 The Kimbell Art Museum has decided to list one of its prized possessions — a Greek cup acquired in 2000 under then-director Timothy Potts — on a public registry of ancient art with unclear origins. 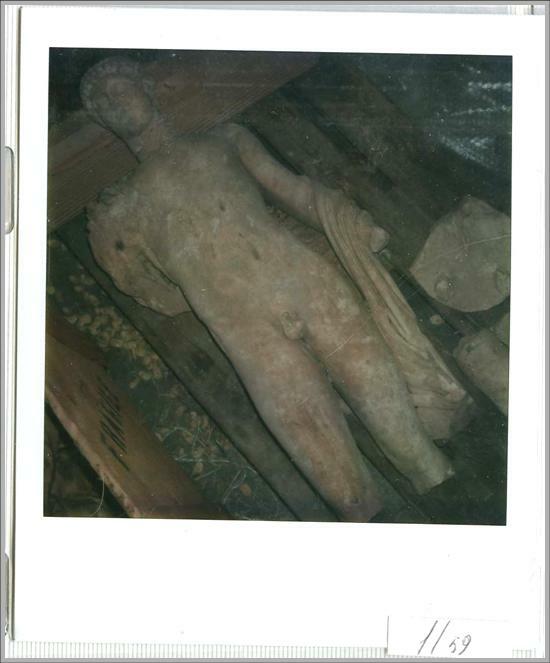 The move comes after Jason raised questions about the cup while reporting an article for Saturday’s LA Times on Potts’ role in the controversies involving American museums and the looted antiquities trade discussed in Chasing Aphrodite. 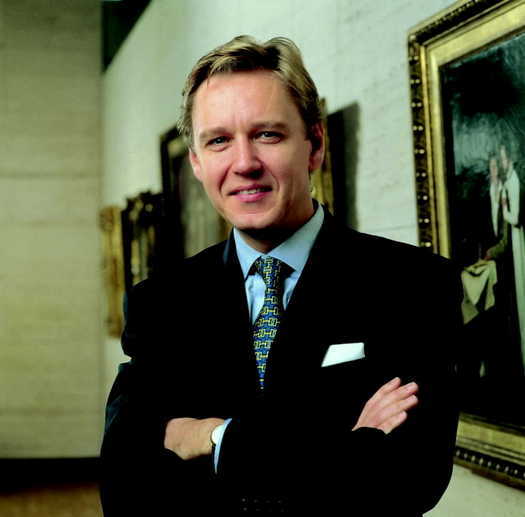 This week Potts was named as the next director of the Getty Museum. The cup in question is from the 5th century BC and was masterfully painted by the Greek artist known as the Douris Painter. The Kimbell describes it as “one of the finest surviving vases of the early Classical period.” The scene on the cup depicts the death of Pentheus, a mythical king of Thebes, being torn limb from limb by a group of drunken followers of Dionysus. The museum lists the cup’s ownership history as follows: (Elie Borowski [1913-2003]) by 1977; sold to a Japanese oil company, probably late 1980s; (sale, Christie’s, New York, June 12, 2000, no. 81); purchased by Kimbell Art Foundation, Fort Worth, 2000. As David Gill noted in his review of James Cuno’s book Whose Culture? 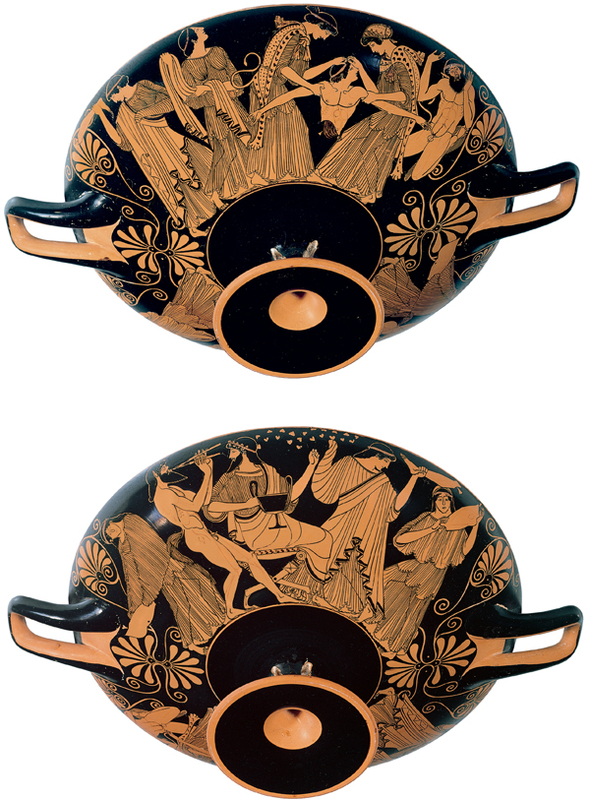 The Promise of Museums and the Debate Over Antiquities, the vase was published by Robert Guy in “Glimpses of Excellence: A Selection of Greek Vases and Bronzes from the Elie Borowski Collection” (Toronto Royal Ontario Museum) and highlighted in an interview with Potts for Apollo Magazine (vol. 166,October 1,2007). 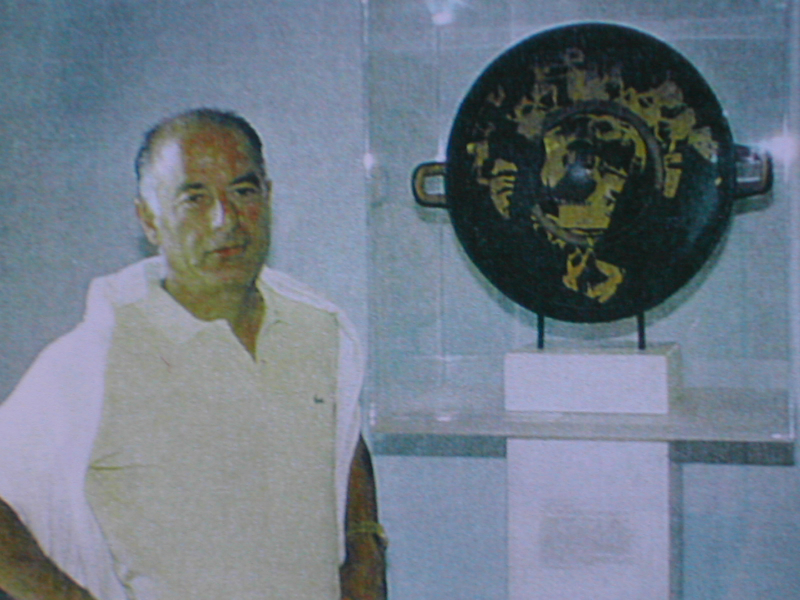 The earliest documented owner of the cup, Elie Borowski, has been linked to the illicit trade by Italian and Greek investigators. 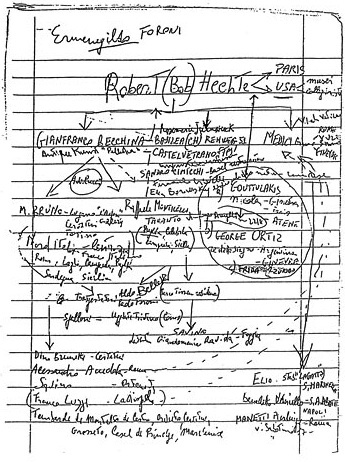 His name appears in Robert Hecht’s memoir as a client of convicted antiquities dealer Giacomo Medici and on a handwritten organization chart of the illicit trade seized by Italian authorities in 2001 (on right). Marion True told Italian authorities that Borowski had also been a client of Gianfranco Becchina, the Sicilian antiquities dealer (also named on the chart) who is now on trial in Italy. In correspondence with Potts and the Kimbell, we asked why they were confident the cup was not the product of an illicit excavation after 1970. “When the Douris cup was purchased at auction in 2000, the Kimbell Art Museum, like most US museums, held antiquities to the standard of the US 1983 ratification of the 1970 UNESCO treaty. We believe that the piece can be documented as being outside its country of finding before 1983. Subsequent to its purchase, the AAMD recommended in 2008 that museums apply the 1970 standard instead. We don’t have information on the cup’s whereabouts between 1970 and 1977, as is evident in the provenance described on our website. To further comply with the AAMD recommendations, we will post it on the AAMD Registry of New Acquisitions of Archaeological Material and Works of Ancient Art. 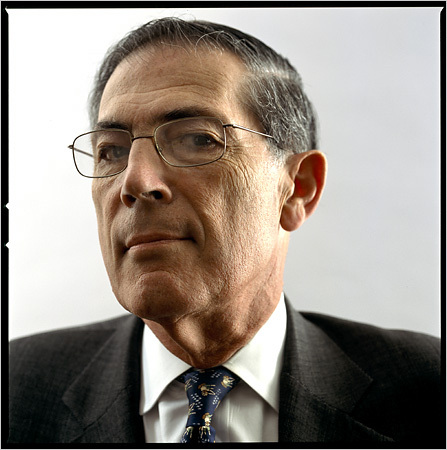 The registry also contains 10 objects acquired by the Chicago Institute of Art, many of then under director James Cuno, who is now Getty Trust CEO.